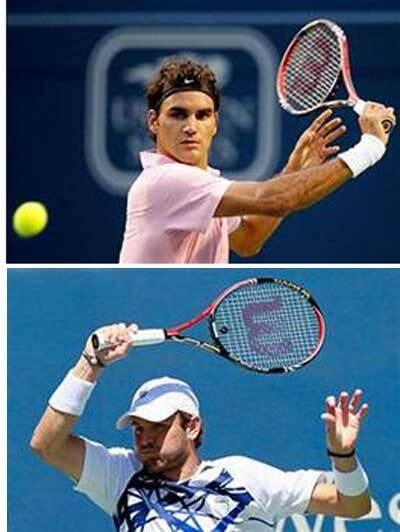 Roger Federer and Mardy Fish will go head to head with their Wilson Six.One BLX rackets for the Western & Southern Financial Group Masters title in Cincinnati. Roger Federer eased into the finals with a 6-4 6-3 win over Baghdatis. Defending champion, Federer is vying for his fourth Cincinnati title. Mardy Fish has been in outstanding form throughout the summer hard court season, taking the singles title in Atlanta and doubles title in Washington DC. This week, he defeated ATP Tour World #8 Verdasco, #4 Murray and former World #1 Roddick en route to the final and put himself in position to capture his first ATP Tour Masters Series tournament title. The Western & Southern Financial Group Masters Series finals will be played at 2pm Eastern time.